Seminar Topic: The Role of Big Data in Indian Elections. Political parties are now increasingly using big data tools to increase voter turnout and swing the elections in their favor. We have already seen micro-targeting of voters through the use of data analytics gained momentum in the 2008 and 2012 US presidential election cycles. In the 2014 general election, the growing trend of digital and data-driven elections was seen in India. There were several reasons which have been attributed to the victory of Narendra Modi led BJP. There was one thing which many analysts have overlooked, and that was the Modi campaign’s use of data analytics and social media in a big way. The digital strategies for the 2019 elections demonstrate the importance of data and technology in elections. 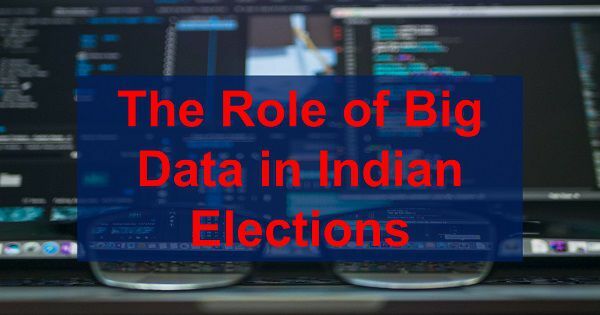 The effective use of big data was one of the many factors for the electoral success of Narendra Modi led Bharatiya Janata Party (BJP) in India. In the 2014 elections, the use of data, technology, and digital platforms played a central role in the way the campaigns were designed, structured, targeted, implemented, and communicated. Technology and data were also key in strategically navigating the complexities of demographics, religion, politics, caste. Here we have uploaded the best papers to draft a seminar report on how politicians use big data to win elections. The paper for the seminar report discusses the working of evolving technologies like Hadoop framework and MapReduce technology responsible for transforming big data into meaningful insights. The research paper concentrates on the utilization of big data to the utmost potential in winning elections held at any level. The primary aim of the paper is to elaborate on the different issues and challenges involved in handling big data and how to attract electorates. Here you will also get a case study paper which will draw upon news items, academic articles, policy and legislation, company websites and promotional material, campaigning and election material such as advertisements and voter rolls to explore the above questions in the context of the 2014 and upcoming 2019 elections in India.